You find a math problem in a book, or maybe on a contest, or maybe your teacher tells you the problem. You work on it for a half-hour. Then another half-hour. It bugs you and bugs you because you know that other kid who wins all the trophies knows how to do the problem. You want to win the trophies, too, but that's not why you spend another half-hour on the problem. You want to know the answer. More than just the answer, you want to know how to do the problem. How would I have thought of that? The creators of this site were this student once. We were the kids who wanted to win the trophies. We worked hard and became the kids who won the trophies. The trophies are in attics now. The problem-solving skills, the love of mathematics, and the friendships forged with peers with similar interests remain. We've applied the skills we've developed through mathematics to a variety of fields in college, then in the professional world. This time you are the student. We are building this site for you, to provide a resource you can turn to. Below are the people building Art of Problem Solving from our office in sunny San Diego. Click on each image to learn more, and check out our Careers page if you'd like to join the team! We also have dozens of amazing instructors teaching in our online school. They're a lot like our full-time team. They grew up loving math, and many were winners of major math awards and graduates of schools like MIT, Harvard, Stanford, and Princeton. Click here to learn more about our teachers. Art of Problem Solving was founded by Richard Rusczyk in 2003 to create interactive educational opportunities for avid math students. Richard is one of the co-authors of the Art of Problem Solving classic textbooks, author of Art of Problem Solving's Introduction to Algebra, Introduction to Geometry, and Precalculus textbooks, co-author of Art of Problem Solving's Intermediate Algebra and Prealgebra, one of the co-creators of the Mandelbrot Competition, and a past Director of the USA Mathematical Talent Search. He was a participant in National MATHCOUNTS, a three-time participant in the Math Olympiad Summer Program, and a USA Mathematical Olympiad winner (1989). He received the World Federation of National Mathematics Competitions Paul Erdös Award in 2014. He graduated from Princeton University in 1993, and worked as a bond trader for D.E. Shaw & Company for four years. AoPS marks Richard's return to his vocation - educating motivated students. Dave joined AoPS in 2004. He is the author of Art of Problem Solving's Introduction to Counting & Probability, Intermediate Counting & Probability, and Calculus textbooks, and co-author of Prealgebra. Dave earned the sole perfect score on the American High School Mathematics Examination (AHSME) in 1988 and was a USA Mathematical Olympiad winner that year. He attended the Research Science Institute (RSI) in 1987, and the Math Olympiad Summer Program in 1988, where he first met fellow student Richard Rusczyk. He also finished in the top 10 on the Putnam exam in 1991. Dave graduated from Carnegie Mellon in 1992 with a BS in Mathematics/Computer Science and an MS in Mathematics. He went on to earn his Ph.D. in mathematics from MIT in 1997. He was an acting Assistant Professor at the University of Washington from 1997 to 2001. Dave is originally from Western New York and is an alumnus of the SUNY Buffalo Gifted Math Program. Jeremy joined AoPS in 2009. He earned his Ph.D. in mathematics from the University of Chicago in 2006 and was on the math faculty at MIT from 2006 to 2009. He is currently the Online School Director at AoPS. He once specialized in turning hard problems in geometry, algebra, and mathematical physics into easy problems in combinatorics and graph theory. Now he specializes in helping to redistribute mathematics from brilliant teachers to brilliant students. He gets his signs right 50 percent of the time, struggles with problems that lack symmetry, and secretly believes that every problem somehow reduces to the Chinese Remainder Theorem. 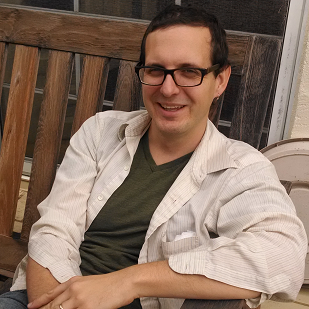 Jason joined AoPS in 2010 to lead development of the Beast Academy series. 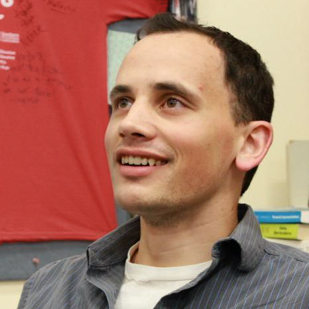 Before joining AoPS, he taught mathematics and coached the math team at Ligon Middle School. Ligon won state MATHCOUNTS titles in 2008 and 2009. In addition to teaching and coaching at Ligon, Jason coached the math team at Fred Carnage Middle School for the 2009-2010 school year. Ligon and Carnage placed 1st and 2nd respectively in the state MATHCOUNTS competition in 2010, with 6 of the state's top 10 competitors coached by Jason. 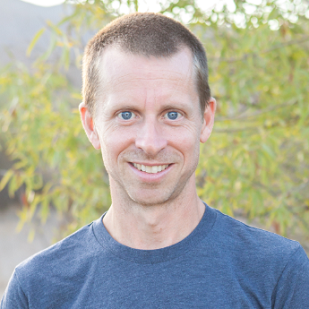 While teaching, Jason wrote and published "Competition Math for Middle School," and developed AGMath.com. He enjoys puzzles, running, skiing, and playing in the pool with his kids Parker and Ada. Corinne attended her first math competition in the 5th grade and continued competing through her high school years at the Illinois Mathematics and Science Academy. 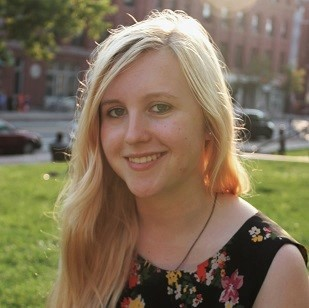 While attending Mount Allison University, she fell in love with coding and switched over to computer science competitions. There, she also tutored in various subjects, taught middle school students how to code, and learned how to live with 6 feet of snow. 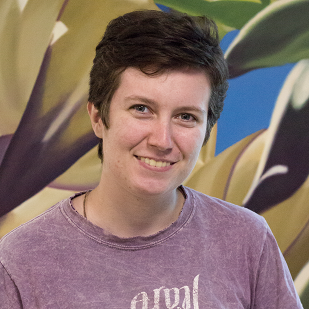 After graduating with a combined major in Math and Computer Science in the spring of 2015, she was very happy to join AoPS in a position that lets her combine her passion for mathematics, teaching, and computer science. Grayson joined AoPS in 2015. He recently earned his Ph.D. in sociocultural anthropology from the University of California Santa Barbara. Grayson understands culture as the lens through which we assign meaning to the world and everything in it. Culture shapes our perception of reality--how cool is that?! For the past three years, he has been conducting research, writing, and teaching about the various factors contributing to underrepresentation in STEM education and in the workforce. Prior to becoming an anthropologist, Grayson earned a BA in biology from the University of Pennsylvania during a time when he was considering a career in veterinary medicine but then thought better of it. He loves animals (especially dogs), music (especially playing his acoustic guitar), traveling (especially everywhere! ), and sports (especially basketball, football, and all professional teams representing Philadelphia, the city that raised him). 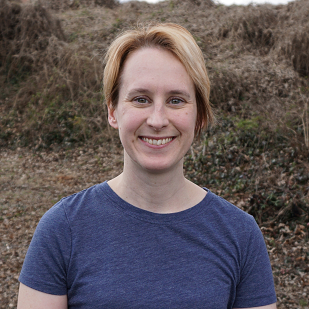 Sarah joined AoPS in 2018 after finishing a PhD in mathematics from Emory University, where she studied number theory and moonshine (no, not the drink). 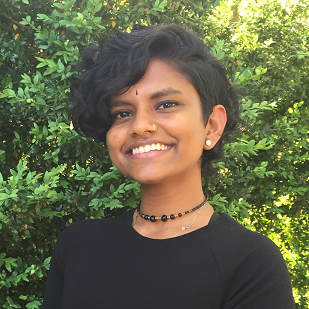 She first fell in love with mathematics while attending HCSSiM in 2007, and since then has been involved in many other summer math programs, including MathPath, PROMYS, Emory's REU, and BEAM. As an undergraduate at Princeton, she was already president of the math club and helping to run PUMaC in her freshman year. When she moved to Atlanta for graduate school, she started Emory Math Circle, which by the end of her tenure was serving over 200 students each semester. In her free time, she likes to play board games and go on long walks. The actual date that Erich "joined AoPS" is still in question. It's a long story. After eight years as the Lead Illustrator of AoPS's Beast Academy math series for younger children, he is now the Art Director for all Beast Academy curricula. Erich doesn't have a degree in mathematics, but he draws awesome creatures doing math better than anyone else in the office, so he has that going for him. He has been drawing since he was old enough to hold a crayon and has put that experience to good use in his 20 years as a professional illustrator. Some highlights of his career other than AoPS include co-creating and illustrating the internationally published graphic novel and comic strip series, Mail Order Ninja, working with William Shatner on a comic book series based on Mr. Shatner's TekWar novels and TV series, illustrating Teen Titans GO! for DC Comics, and co-writing/illustrating a Fruit Ninja graphic novel. In his spare time, Erich draws other stuff and builds/drives Ford Mustangs; currently driving a 750HP 2012 Shelby GT500. 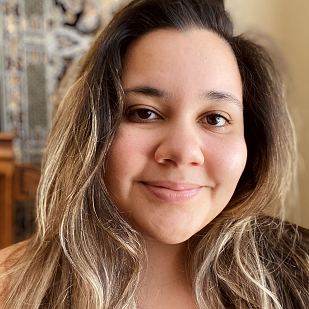 Vanessa joined AoPS in 2018 shortly after earning her degree in Applied Mathematics from UC Riverside. Originally from San Diego, she has enjoyed living in many different parts of SoCal. She found her passion for math while taking a calculus her junior year of high school and eventually found a love of all things space and astrophysics, which led to taking an emphasis in physics for her undergrad. She enjoys spending time with her four younger siblings who range between the ages of 18 and 4. Her hobbies include visiting small coffee shops and taking every opportunity to drink more coffee. In addition, she loves catching up with friends and going to new places (or coffee shops). R.J. joined AoPS in 2016, shortly after completing his Ph.D. in Cinema & Media Studies at the University of Southern California. While honing his research, writing, and teaching skills at USC, he studied the ways that the American media has reflected, as well as shaped, the changing roles that young people have played in our society over the last hundred years. Previously, R.J. earned his B.A. in English from the University of California, Irvine and his M.A. in the same subject from The Ohio State University. In his spare time, he loves watching movies (with a particular fondness for Classic Hollywood and silent comedies), reading (his interests run the gamut from William Shakespeare to Jane Austen to contemporary comic books), playing board games, and looking for new and interesting subjects to learn about. Joseph joined AoPS in 2018 during his final semester studying Software Development at Western Governors University. 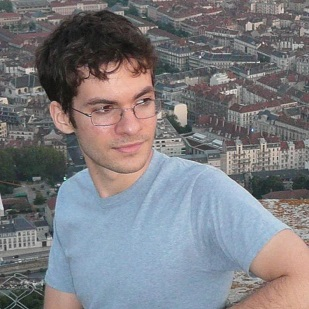 He first picked up programming by learning to create computer games in elementary school. Since then, he has spent years creating bizarre game prototypes and practicing web development. 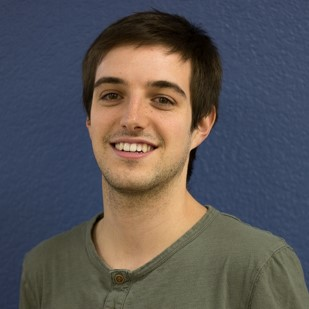 Joseph also utilized his self-taught skills to lead game development teams at both Grossmont College and UC Berkeley. 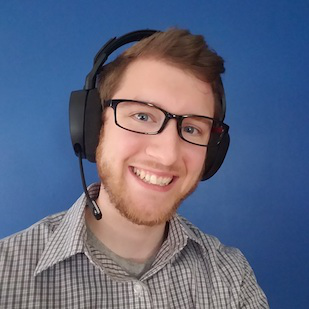 Prior to attending WGU, he spent a year away from academics, in the spirit of entrepreneurship, to develop and market his own desktop app for gaming live-streamers. 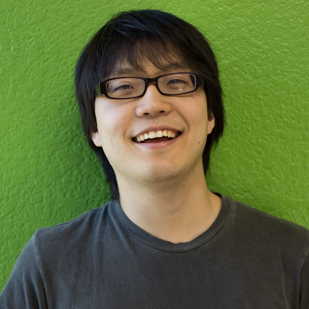 Outside of programming, he enjoys digital art, karaoke, sushi, and Guitar Hero. Kelcie is the National Director of Outreach for AoPS Academy. 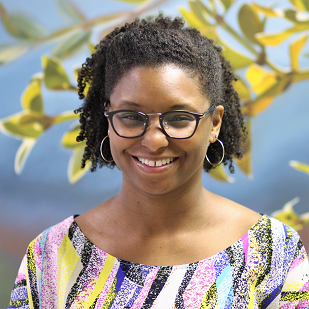 She holds her Masters degree in gifted education from Northwestern University, with a focus on the social and emotional needs of underrepresented students in gifted programming. Prior to joining AoPS, Kelcie worked as a diversity and inclusion practitioner for an independent school in St. Louis, where she designed and taught social justice courses, trained parents and teachers, and led community outreach initiatives. In her spare time, Kelcie enjoys sewing, watching movies, and lurking in the comments sections of her favorite blogs. 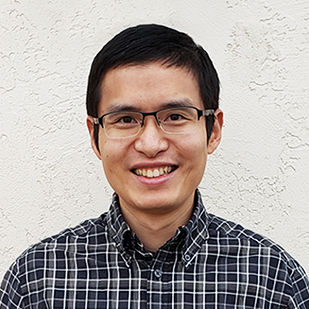 William joined AoPS as a developer in the summer of 2018 after completing his PhD in mathematics at UCLA, working on problems related to group theory. From middle school to his undergraduate time at UNC-Chapel Hill, William also participated in math competitions, including two appearances on North Carolina's ARML team (there would have been a third in 2006, but he misspelled his email address) and an Honorable Mention in the 2011 Putnam. He enjoys board games, coffee, and finding new things to do and see with his beautiful wife Shannon, whom he would also like to thank for his name appearing up with the letter “C” instead of down with the letter “S”. 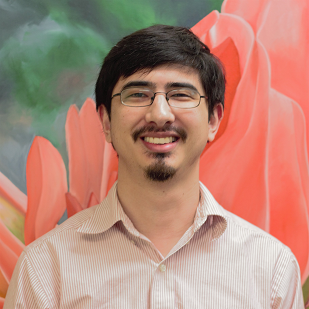 Philip joined AoPS in 2018 as a developer after obtaining his Ph.D. in Mechanical Engineering from the University of Tennessee Knoxville/Space Institute. Prior to his graduate studies, Philip obtained a B.Sc. in Mechanical Engineering from Florida International University where he also became a member of Tau Beta Pi engineering honor society. 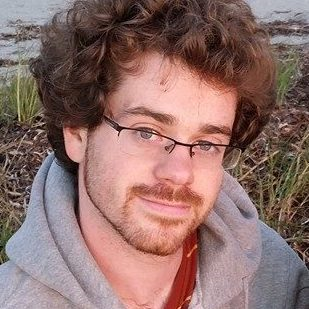 During his doctoral studies, Philip developed a computational framework to model probability-based material properties within fracture mechanics simulations; he has also had the opportunity to develop software for a US Air Force research affiliate. 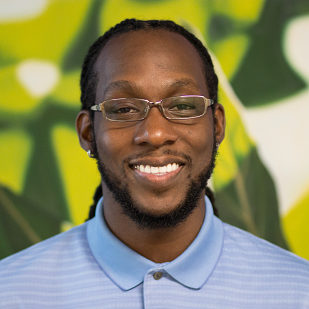 Since 2015, Philip has returned to his home, The Bahamas, each summer to teach engineering fundamentals and mentor kids at a STEM-based summer camp (pro bono and fueled by passion). Dorothy joined AoPS in 2017. She holds a Ph.D. and M.A. in English from the University of Virginia and has been talking to people and asking questions about books and ideas since even before she learned to read. (Her very first student was her sock monkey, Monkey). On her return to California from the East Coast, she celebrated by throwing out all her wool socks. She also likes making pickles, exploring the outdoors, and taking Scrabble just a little too seriously. Tina is the office and shipping manager for Art of Problem Solving. She has been with AoPS since 2007. If you have taken an AoPS class, you may know her as Ubermoderator. Tina graduated from the University of Nebraska with a Masters degree in Public Administration. Tina learned to love the California weather when she was a United States Marine stationed at Camp Pendleton, and couldn't wait to move back. She loves her fluffy dog Gizmo and bad vampire movies. Sophia is a homeschool alumna with a B.S. in mathematics from the University of Texas at Austin. 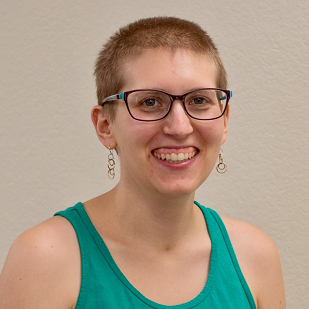 She has published research in algebraic combinatorics, fenced in the Junior Olympics, and attended ARML with the Texas team every year since 2011. Sophia has been teaching math since she started earning pocket money through ACT-prep tutoring at the age of 11. The rest of the time, she enjoys board games, the poetry of Gerard Manley Hopkins, and arguing that Mathcounts used the wrong tiebreak procedure when she was in 7th grade. 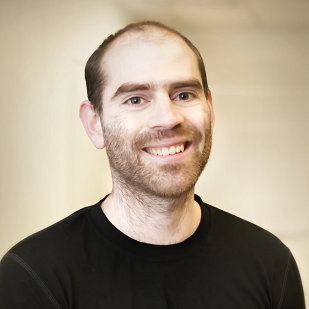 Mark joined AoPS in 2018 after completing a PhD in physics (focusing on physics education research) at the University of Maryland. There, he also prepped the U.S. Physics Team and attended IPhO as a coach. He has been teaching physics and astronomy classes since undergrad, and is always impressed by creativity and resilience students show when they have a great problem to work on. If you start explaining a proof to him and he happens to see how it works half way through, he'll spend the rest of the time flailing his arms around conducting the final steps like Willem Dafoe in Boondock Saints. On weekends you might find him exploring the miles of trails San Diego has to offer. James joined AoPS in 2012. He received a PhD in electrical engineering and computer science, studying machine learning and linguistics, at UC Berkeley where he spent several years as a teaching assistant in engineering math courses. James has been tutoring and teaching math and science since high school. He was a National MATHCOUNTS contestant, qualified for the USAMO each year of high school, and attended the Physics Olympiad Summer Program. In his spare time, he applies math to boardgames, thinks of ballroom dancing as a Markov process, and is a novice kitchen scientist. 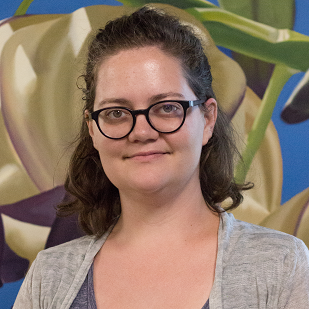 Jennifer joined the AoPS Outreach team in April 2018. Prior to working for AoPS, she ran her own inbound agency, focusing on blogging, social media, and marketing strategy for B2B businesses. She discovered a love for marketing while working for a reptile company, where she discovered the ability of a digital medium to help a larger audience than one-on-one interactions in a retail store setting. When not writing or poring over spreadsheets, Jen still keeps what most people consider an excessive number of reptiles and amphibians, as well as dogs, chinchillas, and a bird. Kyle joined AoPS in 2012. He earned his degrees in Mathematics and Biology from the University of Texas at Austin. After graduating, he joined Teach For America (TFA) to help close the achievement gap in low income communities. As part of the TFA corps, he worked in rural New Mexico, where he taught 6th and 8th grade math and learned to make friends with sheep. He enjoys dancing poorly, and as a matter of principle will only buy prime rib if the number of ribs is actually prime. 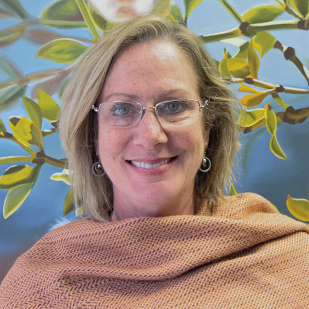 Christie joined AoPS in 2018. She received her Bachelor’s in Psychology and Social Behavior from UCI and Master’s Degree in K-8th Mathematics Education from SDSU in 2012. After teaching first grade for a few years, she returned to school (because sometimes one Masters just isn’t enough). 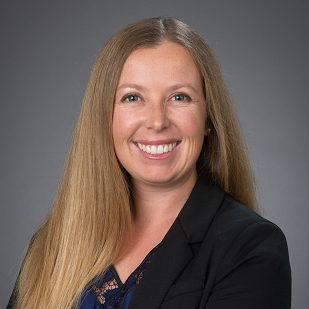 She is now pursuing an MBA from the UCSD Rady School of Management and enjoys finding order in the chaos of operations. In her free time, she is an avid beach-goer and rock climber. Christie jumps at any opportunity to travel with her husband, especially to exotic locales. Aaron joined AoPS in 2017. His PhD is in Media Arts and Technology from the University of California, Santa Barbara, focusing on audiovisual representations of mathematics. Before that, he got his master’s degree in mathematics at the University of Rochester and a joint bachelor’s degree in mathematics and music at Brown University. Aaron has had the pleasure and privilege of teaching the next generation of math superstars for many years at the CTY and HCSSiM summer math programs. Outside of math, he enjoys designing experimental electronic music, playing the piano and percussion, chess, Xiangqi, Go, and badminton. 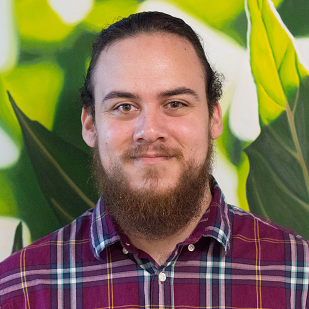 Richard joined AoPS in 2018 as a developer. Previously, he spent several years tutoring for math and science and completing a double major in theatre and mathematics with an emphasis in secondary education at the University of California, San Diego. After that, he moved on to become a self-taught software test automation engineer. Outside of work he designs original origami models, writes tabletop roleplaying games, edits and guests on podcasts, and does archery. He has also been known to attempt geeky knitting and crochet projects when the mood takes him. 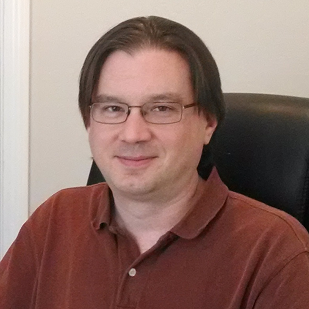 Chris is the Procurement Administrator for AoPS Academy. She joined the Morrisville, North Carolina campus in 2014 and has since made her third (and hopefully last!) cross-country move to settle in sunny San Diego. Chris holds a degree in Paralegal Studies, has two beautiful daughters, and loves horror flicks. 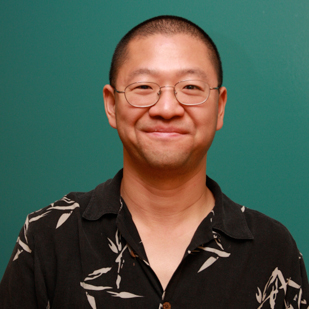 Yating Liu is the Business Development Director of AoPS Academy. He earned his B.S. in Mathematics from Peking University, and he received his M.S. in Mathematics and Ph.D. in Mathematics Education from Ohio State. Before joining AoPS, he was a tenure track-faculty member at Old Dominion University, and was among the youngest doctoral advisors of the institution at the time. Yating was a one-time champion in China's national level math competition and a two-time champion in provincial level physics competitions by the age of 15, the same age that he received a college entrance exam waiver for any university in the nation. In his free time, Yating enjoys hiking, playing ping pong, and swimming. Bessie joined AoPS in 2018 after working as a Lecturer at the University of Michigan, where she also got her PhD in English Language and Literature. She’s taught reading, writing, and argumentation at various levels. She has experience teaching ages 3 through 65, both in the USA and Japan. Her first tutoring experience was a kindergarten math class when she herself was in 3rd grade; her first teaching experience was in high school teaching a drama class; and her first Shakespeare theater company was started in freshman year of high school and lasted for two seasons. She has over a decade of teaching experience under her belt and is excited to bring that experience to AoPS. 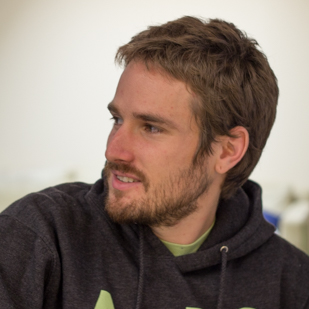 Palmer joined AoPS in 2012 shortly after graduating from Harvey Mudd College the same year. 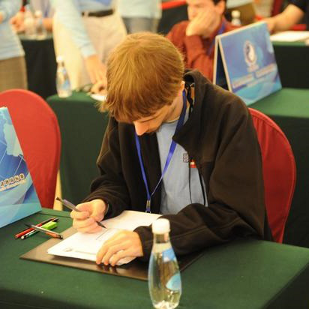 As a math contest participant, he was honorable mention on the USAMO in 2007, a US IMO team candidate in 2008, and a top 15 finisher on the Putnam in 2009 and 2011. 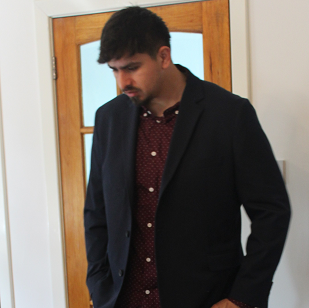 During his four years of college, he graded for the USAMO and MOSP four times and single-handedly managed the WOOT "Problem of the Day" service. Outside of mathematics, Palmer solves and writes logic puzzles. He solves them fast enough to have been named the US Puzzle Champion in 2011, 2013, and 2014, and World Puzzle Champion in 2011 with top-3 finishes in 2012, 2013, and 2014. His best constructions can be seen on the tests he made for Logic Masters India. Amy joined the AoPS Orders & Customer Service department in 2018. She recently relocated to San Diego from the east coast and is loving it! Her hobbies include bicycling, cooking, quilting, needlepoint and gardening. In 2009, Tasha graduated with a math degree from Arizona State, where Barack Obama gave her commencement address. After college, she joined Teach For America and taught Algebra I and Algebra Readiness for two years at Willow Glen High School in San Jose, CA. She then moved to Oakland, CA to teach Precalc and AP Calc at KIPP King Collegiate High School. At King, she also served as Math Department Chair. In 2014, Tasha joined AoPS, where she has worn many hats. Now, she could not be more excited to be back in the classroom. 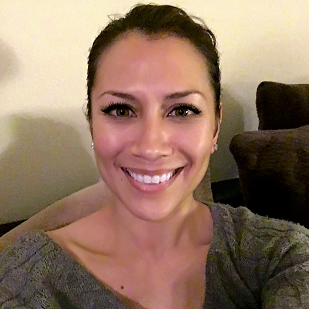 In her spare time, Tasha enjoys exploring San Diego with her friends, running and doing yoga by the beach, and cuddling with her adorable cat Eli. 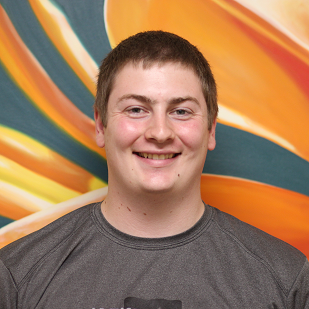 Brent first joined AoPS as an assistant in 2013. He received bachelors degrees from Michigan Technological University in both mathematics and physics with concentrations in secondary education in 2014, then went on to obtain a masters degree in statistics in 2016. Exploring the many paths to a solution and sharing discoveries is part of what makes mathematics so fun and enjoyable for Brent. When he's not doing math, he enjoys drawing comic sketches, playing board games, cooking, riding his bicycle, and swing dancing. Chris is old enough to have used a slide rule before calculators were a thing. High school math competitions led to a math/physics double major at Rutgers University. A physics Ph.D. at the University of Pennsylvania followed, including three years of TA’ing calculus. It also led to meeting Richard Garfield, and being a developer and expansion designer for the early years of the card game, Magic: The Gathering. After graduation, he worked in labs analyzing protein oxidoreductase reactions, and electron microscope tomographic reconstructions. His mid-life crisis was returning to math and AoPS in 2016. In his spare time, Chris choreographs contra dance, collects Eurogames, studies TV animation, and sleeps in on weekends. Sonia joined AoPS in 2016 as their full time Accountant. She graduated from George Mason University with a Bachelors of Arts in Economics at the age of 20. She worked full time while she completed her Masters of Business Administration with a concentration in Finance at the age of 22. She moved to San Diego, CA in 2013 from Washington, D.C. and has loved it ever since! Ivan joined the AOPS warehouse at the beginning of 2019, bringing with him experience from previous warehouse roles with a large focus on team safety, shipment accuracy, and machine operation. He spends the majority of his time playing music (either through music apps or with a guitar), but also makes time to be with family, go hiking in new locations, or do much needed car maintenance from excessive driving. To him, Los Angeles is a second home, well worth the long drive and traffic. 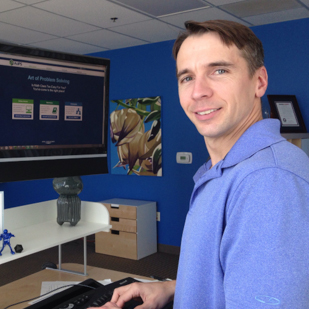 Ivan intends to improve his skillset with AOPS as it continues to grow. Noah Prince joined AoPS in 2016. Before that, he taught math and coached quizbowl at the Illinois Mathematics and Science Academy. 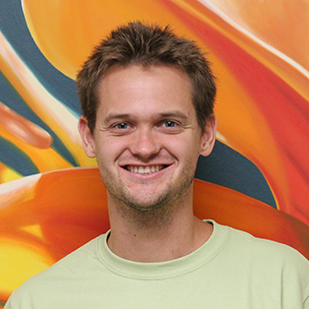 Noah earned his Ph.D. from the University of Illinois in 2008, having done his thesis research in graph theory. He also earned his B.S. from U of I in 2004. He has taught enrichment camps for mathematically-bent middle schoolers and graduate math classes at a local university, sometimes in the same day. He likes proofs that involve mathematical induction, and his favorite proof (that of the Erdos-Ginzburg-Ziv Theorem) uses two inductions in its base case. When not doing math, he plays with his three kids, reads novels, and eats lots of hummus. Pavi joined AoPS full-time soon after graduating with their B.S. in Mathematics from University of Maryland in 2018. They were born in Sri Lanka, and spent most of their childhood there, before venturing to the US. Pavi won high distinction in the Sri Lankan Mathematical Olympiad and went on to represent Sri Lanka at the 2011 International Mathematics Competition. During their time as an undergrad, they were passionately involved in social justice and activism. 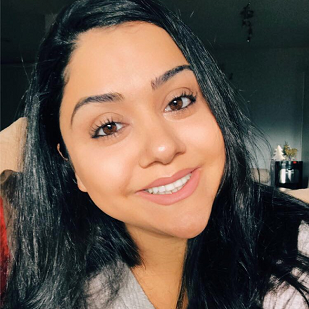 Outside of math, Pavi loves travelling (and getting lost), camping (and the outdoors in general), surfing (and everything to do with the ocean), and animals (with a soft spot for cats and wildlife). 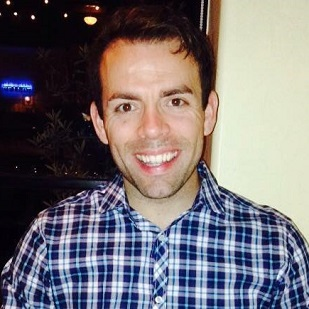 Dustin first joined AoPS as an assistant in 2013, and assisted the intermediate group at the Los Angeles Math Circle while studying math at UCLA. Dustin became interested in math through music. Interested in digital audio synthesis, he realized he'd need to actually learn some math in order to build synthesizers from the ground up. Soon after, math overcame his musical interests. 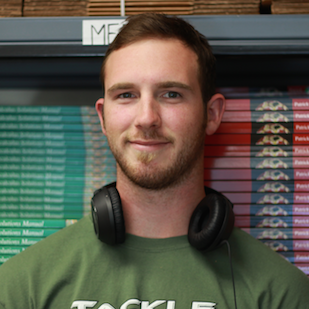 Outside of math, Dustin is obsessed with endurance sports and training. An avid runner himself, you'll often find him running in the San Diego mountains wondering, "When are we going to run that sub-2 hour marathon already?!" Mark recently graduated from the University of Minnesota with a degree in Mathematics, doing a senior thesis involving physics and probability. He is also passionate about mathematics history. When he isn't watching videos about the Turing-completeness of PowerPoint, you can find him playing guitar, piano or percussion, or writing code to simulate games. He is an avid baseball player and fan, and also learned how to play squash in college. He does a podcast with his friends, and owns 7 harmonicas. He is excited to join AoPS full time now that he is done with school! 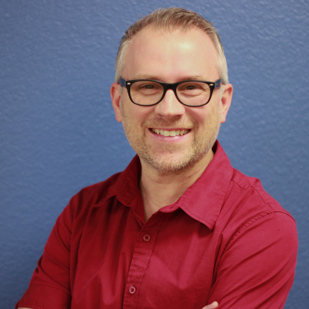 Jeff is excited to join AoPS as Controller in 2019. He has an extensive background in accounting and financial management and reporting, including six years in public accounting, and many years as a Controller in the distribution, construction, professional services, and real estate industries. He graduated from The Ohio State University with a Bachelor’s degree in Accounting, and is a Certified Public Accountant. In his spare time, Jeff is a devoted fan of the performing arts. He studied music for several years, plays a few instruments, and was the choir director at his church for many years. 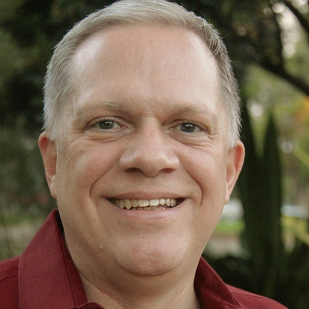 He is a performer and Board member with the San Diego Gay Men’s Chorus and still does some singing in church. He really enjoys spending time with his four children and grandpuppies when circumstances allow. Jeff is also an identical twin, so don’t feel bad if you call him the wrong name, he’s used to it! Maggie joined AoPS in 2018. 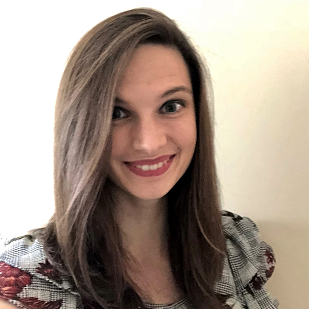 A proud graduate of The Ohio State University, Maggie moved to Saitama Prefecture in 2013 to teach high school English with the Japan Exchange and Teaching (JET) Program. 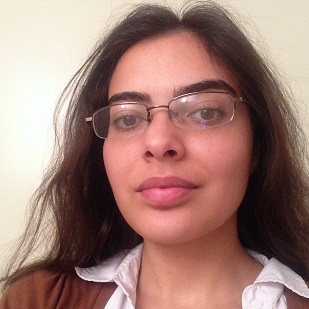 She returned to the U.S. to pursue a graduate degree at the University of Pittsburgh, where her research interests in children’s and young adult media helped her to design unique course components for her undergraduate writing classes. After earning her M.A. in English, Maggie spent a year as a middle school language arts teacher, learning many important things from her students: patience, adaptability, and—most importantly—how to dab. 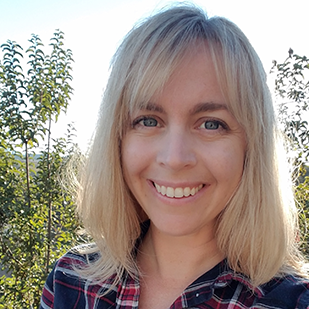 She has a strong belief that kids are capable of way more than they’re often given credit for, and she can’t wait to use her love of stories and language to help students learn to think creatively. 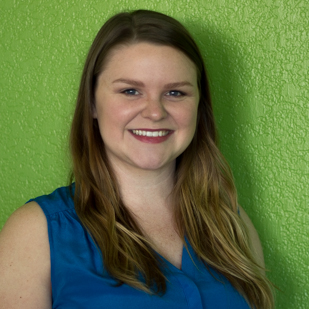 Shannon is Project Manager at AoPS Academy, where she oversees the launch of new Academy campuses across the nation. 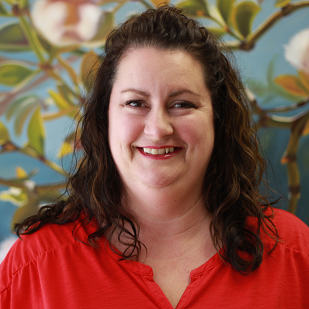 She has executed a variety of roles since joining AoPS in 2011, including as co-author of AoPS's Beast Academy series, curriculum developer, teacher in the AoPS Online School, and manager of customer service and internal operations. 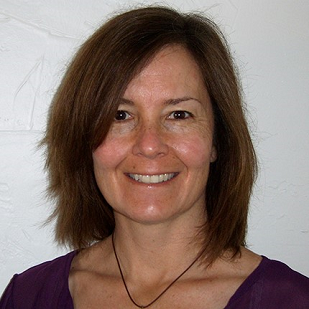 Shannon holds a degree in mathematics from UCLA and has been actively involved in Math Circles in Los Angeles, San Diego, and New Mexico for nearly a decade. She loves math jokes and all things combinatorics. Paul joined AoPS in 2009. Paul discovered QBasic on his computer when he was six years old and has been programming ever since. Before attending Harvard, he was a third-place winner at National MATHCOUNTS, a two-time perfect scorer on the American Mathematics Contest (AMC) 12, a participant at the Research Science Institute, and a prize winner at the Intel International Science and Engineering Fair. 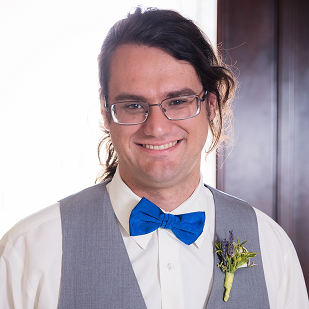 In his free time, he enjoys emacs, waterbending, learning musical instruments, talking about himself in the third person, watching crime shows, and herding cats. Paul joined AoPS in 2013. 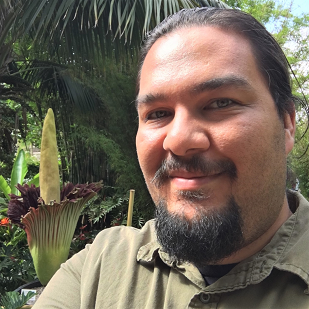 He first discovered his love of mathematics in high school, when an inspirational teacher introduced him to the Pomona-Wisconsin Mathematics Talent Search. He went on to earn his degree in mathematics from Pomona College, and in his junior year he traveled to Hungary to study combinatorics in the Budapest Semesters in Mathematics program. After receiving the Hugh J. Hamilton Prize for an outstanding senior math major, he went on to graduate with a Master's degree in mathematics at the University of California, San Diego, where he spent several years as a teaching assistant for math courses. In his free time, Paul enjoys making music, playing adventure games, and writing computer programs for mathematical problems. Mariela joined the Accounting and Human Resource team in September 2017. She is a native San Diegan and loves the outdoors. She graduated from Kaplan University in 2015 with a Bachelors of Arts in Business Administration. 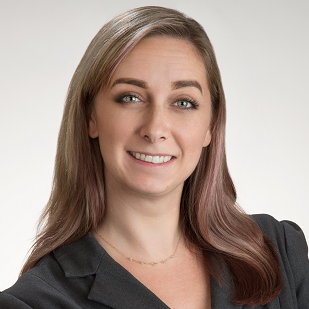 Mariela has worked in the finance department of San Diego State University and Thomas Jefferson School of Law. Currently, she is working on obtaining her Masters in Human Resources from Southern New Hampshire University. Anakaren earned her degrees in Mathematics and Art Practice from UC Berkeley. Throughout her college career, she worked as a Physics tutor for the Biology Scholars Program focusing on Introductory Physics for college students. At the Art Department in UC Berkeley, Anakaren worked on combining her art practice and fascination for math through various projects based on fractals. After graduating, Anakaren volunteered as a Science and Art teacher at a bilingual school in Honduras where she also contributed to the development of the Science curriculum. 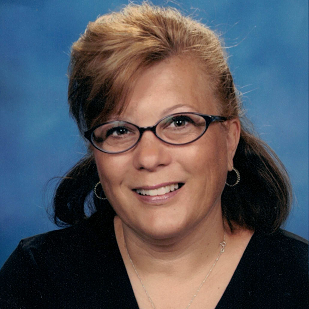 She often tutors Middle School, High School, and College students in various Math and Science subjects. On her free time, Anakaren likes to play board games, work on art projects, cook, and, when possible, she helps out at a family owned candy factory that specializes in dulce de leche and other traditional Mexican candies. Naoki joined AoPS in 2005 after a successful career in investment banking. 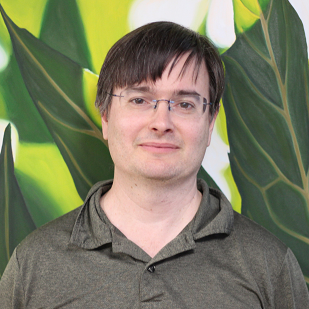 He won first place in the 1993 Canadian Mathematical Olympiad, and represented Canada at the 1992 and 1993 International Mathematical Olympiads, winning a bronze and silver medal, respectively. He has also served as deputy leader for the Canadian IMO team in 1997, 2002, and 2006. A native of Toronto, Canada, Naoki earned a Bachelor's in mathematics from the University of Toronto, and a Master's in mathematics from Yale University. His interests include cycling and wine tasting. Melissa joined AoPS in 2016. She spent the last decade before that immersed in the world of language and books. She earned a BA in Comparative Literature from UC Irvine (where she studied abroad in Sweden, learning the delicate arts of eating caviar from a tube and pronouncing words with the letter å) and an MA in English from UC San Diego. Along the way, she taught reading, writing, and grammar to students ranging from elementary school to college. All told, Melissa has more than eight years of experience teaching, tutoring, creating classes and curriculum, and supporting other teachers. She’s excited to bring that experience to AoPS, and to learn some math while she’s here! Aside from books and words, Melissa enjoys tending her tiny flock of chickens, petting her cats, and spending time outdoors with her husband and baby. Greta first started as a freelance colorist and artist for the Beast Academy books in 2012. 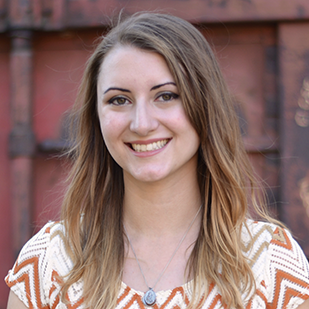 She joined AoPS full-time in January of 2016 in order to help work on the BA websites. Prior to working for AoPS, she worked as a designer for many years in the home decor industry as well as taught Adobe Illustrator courses. When not coloring for a living, she enjoys cycling, cooking, and creating. 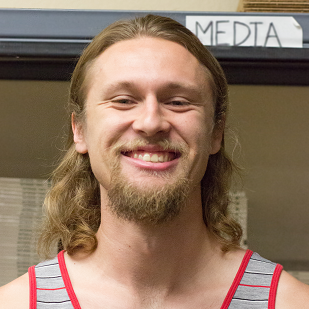 Micah joined AoPS in 2012 and is a college student. His hobbies include tournament bass fishing and bow hunting in the off season. He loves old school rock and roll and hopes to graduate with his mechanical engineering degree in 2021. Amy joined AoPS in 2013. 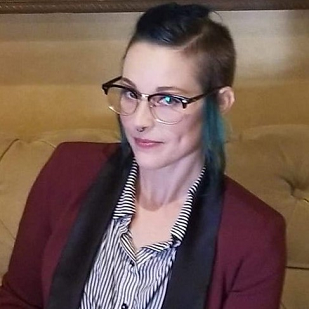 She completed her Ph.D. in mathematics in 2001 at the University of California, San Diego and then spent a few years living in Ithaca, NY while teaching math at an assortment of institutions in the mid-Atlantic states before ending up at the University of Tennessee. While at UT she taught still more math and later coordinated education and outreach for the Remote Data Analysis and Visualization Center. She is an alumna of the Research Science Institute and has served on the staff of the program six times, including as Director of the 2009 and 2010 sessions. She enjoys sewing and knitting, especially projects with a mathematical flavor to them. 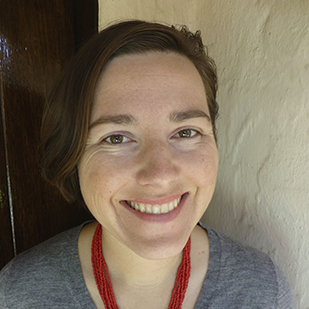 Stephanie joined AoPS in 2019 after ten years of working for the MiraCosta College Writing Center in north San Diego County. She worked as a writing tutor while obtaining a B.A. in Literature and Writing Studies from CSUSM and then spent several years as the full-time Writing Center Specialist. She has been fortunate to work on writing with countless incredible students over the years, which has made her passionate about helping people of all backgrounds become empowered and engaged critical thinkers. In her free time, she enjoys annoying her cat with selfies, watching as many horror movies as she can, working out, crafting, drawing, going to concerts, and doing weird things to her hair. Deven joined AoPS in 2014. 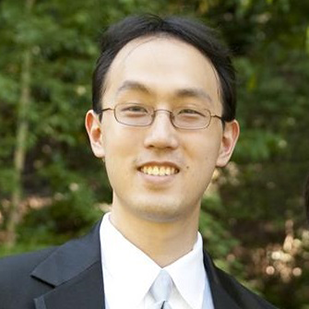 During this same year he earned both his Bachelor's and Master's degrees in mathematics from UCLA. While there, he led the Intermediate Circle at the Los Angeles Math Circle and played with electron lasers for fun. Outside of school, he attended MathPath twice as a counselor and attended the UCLA Logic Summer School as a student. In his free time, Deven enjoys solving logic puzzles and pondering about interesting math problems. He also acknowledges the concerning fact that in this bio he has claimed attending school as one of his outside of school activities. After meeting AoPS coworker Micah Spence in his Calculus III class, Alex joined the team in the Summer of 2017. Alex is a student at Cuyamaca College, transferring to SDSU in 2019 for Aerospace Engineering. He loves space basketball, reading books about physics, learning, and enjoys trying new cultural and culinary experiences. 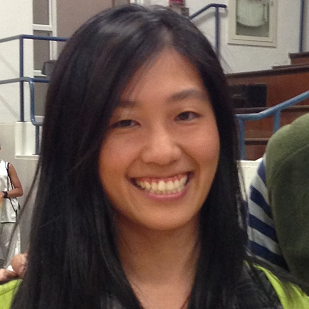 Phyllis joined AoPS at the start of 2014. Originally from Maryland, she completed her B.S. at MIT in Materials Science and Engineering and continued on to finish her Ph.D. at UC-San Diego where she studied various materials on the nanoscale. Phyllis has tutored and taught math since her high school years and still loves it even after all this time. In all her time living near the beaches of San Diego, she still has not once gone swimming in the waters. 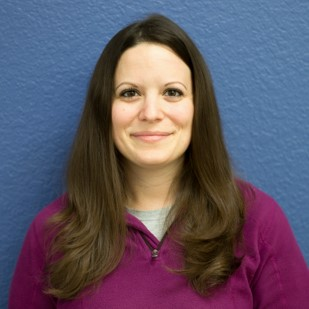 Laura first joined AoPS as a middle school student in 2004. After taking AoPS's awesome classes for many years, she was excited to start working as a class assistant while she was attending Stanford and then to join AoPS full-time soon after graduating in 2014. She's loved math and teaching for a long time, whether going to math meets (when she could find enough other homeschoolers to form a team! ), attending math camps as a camper and later as a counselor, or coaching a MATHCOUNTS team. While at Stanford, Laura studied a mix of mathematics, computer science, and classics – the latter gave her the chance to study abroad in Italy, where she could visit lots of exciting ancient ruins like those in the photo on the left. In her spare time, she enjoys photography, working on crafts, learning new styles of dancing, and roller skating.